Many reactions and processes occur at high temperatures. The Heated Diamond Top-plate includes all the normal features of the Golden Gate® sampling technique but with the added benefit of heating samples up to 300ºC. Diamond has a uniquely high thermal conductivity. The Top-plate has a low thermal mass, and in combination with high power heaters in close proximity to the diamond, both rapid and efficient heating is achieved. This gives a high degree of temperature control. A rapid sample turn around is therefore possible. 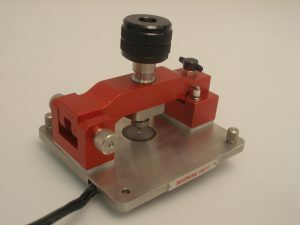 The Top-plate can be used with a computer controlled temperature controller with digital readout to 1°C. With safety in mind, low voltage (30V) heaters are used, and for additional protection thermal fuses are fitted as standard. The controller complies with European CE regulations. The Reaction Cell allows in-compartment reaction monitoring over a broad range of extreme conditions. The diamond is metal bonded into a tungsten carbide mount and this is contained within a high pressure reaction vessel. The unique strength and durability of the diamond element makes it ideal for withstanding combinations of aggressive chemical contact at high temperatures and pressures. 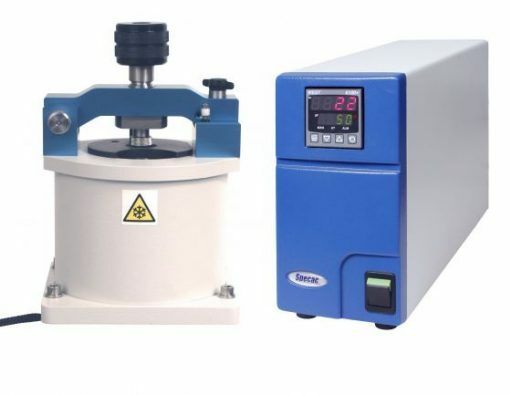 The Golden Gate® low temperature diamond ATR system is the first ATR accessory to provide high performance ATR measurements down to near liquid nitrogen temperature. The system uses a thermally insulated copper and stainless steel dewar in conjunction with an integral heater. The high thermal conductivity of the diamond crystal provides rapid temperature stabilization, accurate temperature measurement, and avoids temperature gradients across the sample. 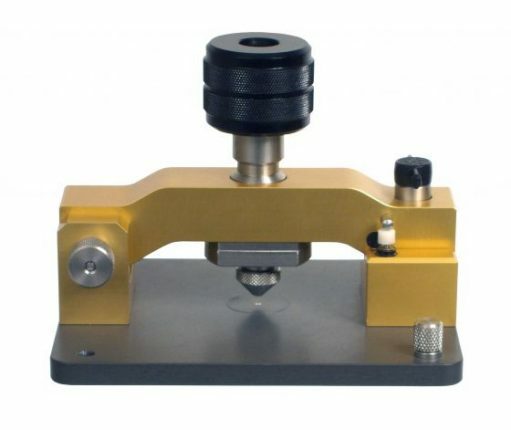 The diamond ATR crystal is high temperature metal bonded into a tungsten carbide support disk and the top plate is hard-anodized to make the accessory chemically resistant and capable of withstanding the pressures required for optimum crystal and sample contact. Pressure is applied to the sample using the quick lock and release bridge from the proven Golden Gate® diamond ATR system. This clamping device allows rapid sample throughput and reproducible solid sampling. It also has a built-in torque limiter to control the loads applied to the diamond. The Golden Gate® low temperature diamond ATR is constructed in such a way that the crystal mounting is under a constant load. This ensures that the diamond is kept in constant optical alignment, negating the effects of thermal expansion and contraction. The upper thermal dewar body of the system is separated from the top-plate by a replaceable, thermally conducting spacer, avoiding the need for use of sealants that may contaminate the diamond surface. The system is easily and quickly taken apart for cleaning. A 45º angle Micro Specular Reflection Top-plate is for flat samples of greater than 3mm x 6mm, or powders that can be pressed into a self-supporting wafer. A scribed reference grid allows accurate repeat positioning of samples. The Supercritical Fluids Analyzer version of the Golden Gate® Diamond ATR is designed for operation at extreme temperatures and pressures. 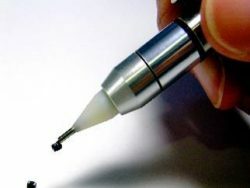 The diamond ATR element is high temperature metal bonded into a tungsten carbide disk, avoiding the use of adhesives or resins that may be dissolved or attacked by the chemical aggressiveness of supercritical fluids. 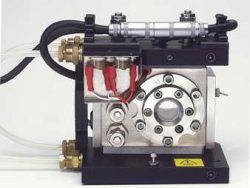 The sample chamber has been specially constructed using stainless steel and is capable of withstanding pressures up to 6000 psi and temperatures up to 300°C. The high thermal conductivity of the diamond element is ideal for fast temperature equilibrium and accurate temperature measurement, reducing analysis time and increasing sample throughput. 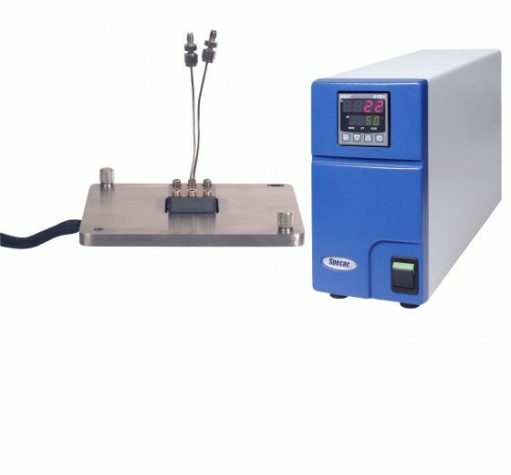 The analyzer is equipped with a thermal protection system to prevent thermal runaway. 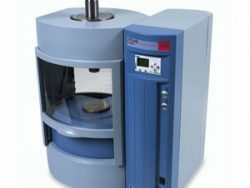 Traditionally difficult samples, such as those containing high concentrations of carbon black, require controlled penetration of the infrared beam. The high refractive index of germanium,4 at 1000cm-1, makes this ATR material an ideal choice for these samples. 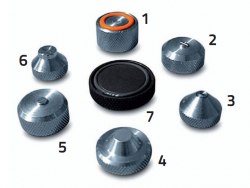 Optimum sensitivity is achieved using a 4×4 mm germanium crystal cemented into a rugged stainless steel disk for maximum strength and support. 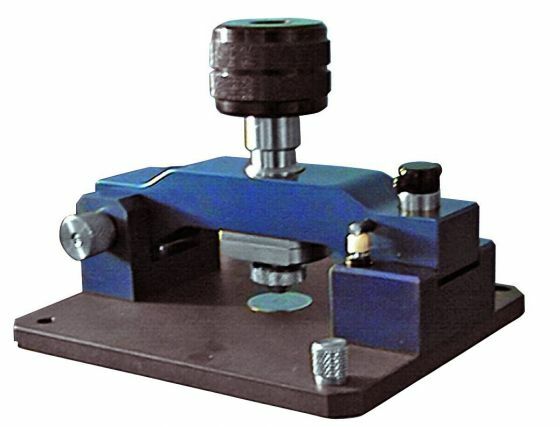 Outstanding sensitivity is achieved using a high pressure contact against a solid, type IIIa diamond, selected for its unparalled sensitivity as a single reflection ATR element together with its unique physical and chemical stability. 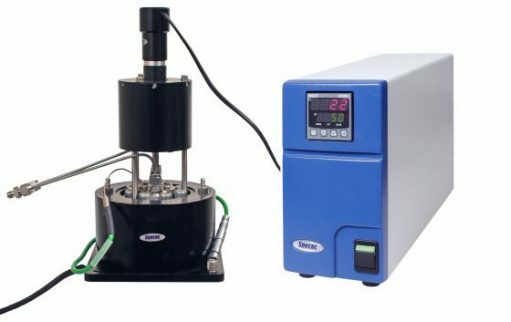 The accessory can be used to analyse a range of samples from single particles and fibres to corrosive liquids, while the large working area sample platform is ideal for macro sampling.